As workplaces become more mobile, cyber threats and attacks are increasingly prevalent. Many companies make the mistake of assuming that their EMM or MDM strategies are sufficient in protecting them from these kinds of malicious attacks. However, many traditional EMM tools are reactive and lack real-time mobile threat intelligence - leaving serious gaps in protection. 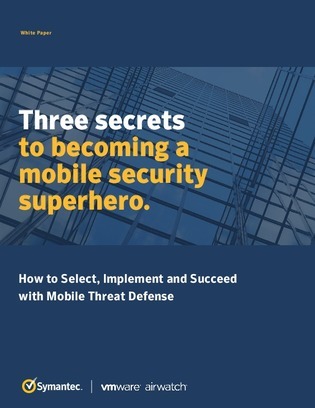 Download this resource to learn how supplementing your EMM and MDM strategies with a comprehensive mobile threat defense program can protect your organization’s mobile devices at every level.